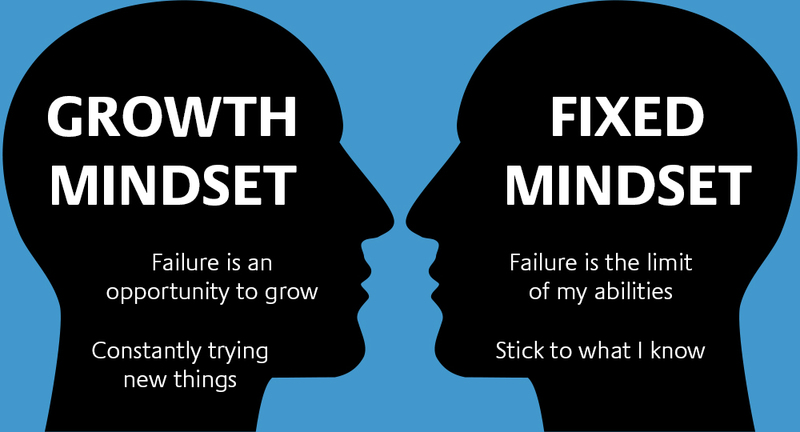 According to Carol Dweck, mindsets change what people strive for and what they see as success. The growth mindset suggests that ‘your basic qualities are things you can cultivate through your efforts’ (Dweck, 2006:7) which implies that intelligence and skillsets are not fixed. For students, this means they can grow and develop at different rates and encourages them to think of their journey of learning new things and skills as a ‘not there yet’ as opposed to a fixed mindset, in which they shy away from challenges and learning opportunities. The language used to develop strong positive, personal understandings of learning is vitally important and even small changes such as the word ‘might’ in a question encourages more learners to offer answers even if they are not sure they are correct. When students self-reflect on their learning and development of knowledge and skills, they use words such as ‘yet’ to describe that they are getting better and they are willing to recognise that just because they haven’t mastered something or might be struggling with something it doesn’t mean that they cannot or will not get better with structured deliberate practice. The way that a growth mindset is developed within students is more than through the language and displays but includes providing tasks which encourage students to be stretched and challenged in an environment which is low stakes and learning and growth is the aim. Our students recognise that learning and performance are different. They also recognise that a growth mindset does not mean that you can achieve everything you aim to. To this end, our schools do not ‘do’ growth mindset – each school implements the philosophy quite differently. 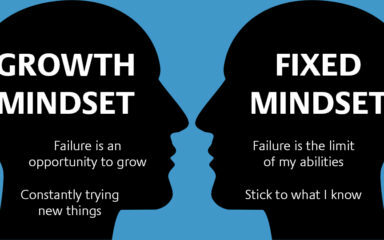 There are lots of pathways to improving and developing a growth mindset for us at TSAT is all about finding the resources, applying the best directed effort, best sourced knowledge and developing a set of dispositions in all students that enable them to get better. This is more than trying hard – it is the idea that you can develop. Fraser, D. (2017). An exploration of the application and implementation of growth mindset principles within a primary school. The British journal of educational psychology. Schroder, H., Yalch, M., Dawood, S., Callahan, C., Brent Donnellan, M., and Moser, J. (2017) Growth mindset of anxiety buffers the link between stressful life events and psychological distress and coping strategies. Personality and Individual Differences, 110, 23-26. Yeager, D., Romero, C., Paunesku. D., Hulleman, C., Schneider, B., Hinojosa, C., Lee, H., O’Brien, J., Flint, K., Roberts, A., Trott, J., Greene, D., Walton, G. and Dweck, C. (2016), Using Design Thinking to Improve Psychological Interventions: The Case of the Growth Mindset during the Transition to High School. Journal of Educational Psychology, 108(3), 374-391.